Hello, my name is Calvin L. Carter. Welcome to my debut blog for Horse Racing Nation. I am the owner of Classic Champion Thoroughbreds, LLC, a bloodstock consulting firm, and the creator of the Classic Champion Thoroughbred Profile® which is a software analytical tool I use to determine the classic potential of young Equine athletes. The software, developed by my brother, Dallas Carter, assigns each horse a numerical profile score and a grade rating with an A+ being the highest. That score and rating shows horse owners the potential of their Equine athlete. The higher the score and grade rating, the more potential that horse has to become a quality, graded-stakes winner or, perhaps, a classic champion. A recent Op/Ed for the Thoroughbred Daily News by turf writer Bill Finley is a good illustration of how the Classic Champion Thoroughbred Profile® can be an important analytical tool, and alternative, for owners who struggle with the decision to the give the legal drug Lasix to their Thoroughbred racehorses. In the Op/Ed, Finley shows the decision making that eventually led Dr. Russell Cohen, a veterinarian with the NYRA tracks and an advocate of “hay, oats and water,” to give Lasix to his homebred racehorse, Effinex. You can read about that here. In addition to giving Effinex Lasix, he also was transferred to the barn of trainer Jimmy Jerkens and Cohen notes in the Op/Ed that the trainer change could have been a contributing factor to his improved performance. Indeed, when you look at the racing record of Effinex, there is a dramatic change in his performance level when transferred to Jerkens. Prior to going to the Jerkens barn, Effinex was 2-0-1 in seven starts and, in five of those races, Effinex ran without Lasix. Under the charge of Jerkens, Effinex has compiled a 5-2-2 record in 13 starts, all with Lasix. He’s won the Clark Handicap (GI) Suburban Handicap (G2), the Excelsior Stakes (G3), and he finished second to Triple Crown winner American Pharoah in the Breeders’ Cup Classic (G1). Overall, Effinex has run in 20 races. In five of those races, he ran without Lasix and earned $90,200. In the remaining 15 races, Effinex ran with Lasix and earned $2,022,750. So, why does a talented horse like Effinex, with over $2 million in earnings, sometimes take a while to live up to his potential? The reasons for this are varied and I think it is much more complex than the fact that he did not race on Lasix in his first five races. Cohen’s observation about the influence of the trainer change to Jerkens is an important key and it highlights how the Classic Champion Thoroughbred Profile® can be a powerful analytical tool for owners who need to know how best to employ their racehorses, enabling them to reach their full potential. Our research, which is documented in my numerous blogs and on my website, shows that a majority of horses run close to their Classic Champion Thoroughbred Profile® score which is a measurement of the breeding influences found in the five-generation pedigree. If the horse is not running close to his Classic Champion Thoroughbred Profile® score, then the issue[s] preventing him from reaching his full potential needs to be investigated. Effinex has a high Classic Champion Thoroughbred Profile® score and his grading scale is an A+ rating. But, his first seven races were no indicator that Effinex would develop into a top quality stakes horse. However, after being transferred to Jerkens, it appears that Effinex is finally living up to the potential reflected in his high profile score. How a horse is handled can prevent him from performing at his best. A trainer or jockey can upgrade or downgrade the performance of a racehorse and for his first seven races, Effinex raced for two low-profile trainers. A physical issue or impairment can also be a big problem preventing a horse from running to his full potential and, in the case of Effinex, Cohen notes that he suffered from shins early on, and his racing record shows that he did not start until he was a three year old. Uncomfortable equipment can cause discomfort for a horse and it can also be an issue preventing him from running his best race. Or, maybe a horse will run his best in minor stakes races or in sprints instead of graded stakes and route races. 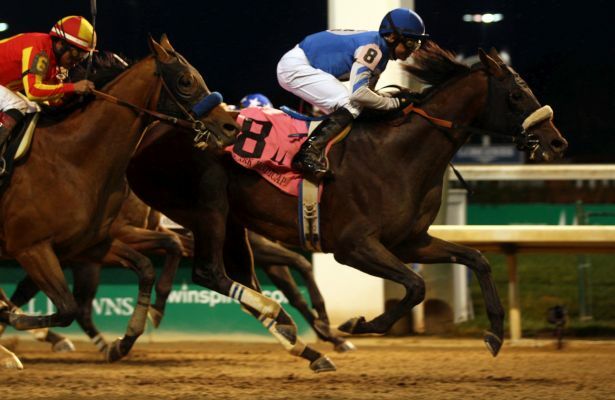 The Classic Champion Thoroughbred Profile® shows which horses may have the potential to be a top-quality stakes winner while a select few will have a profile score that indicates they could be a winner of a classic race like the Kentucky Derby. Like us, a horse is a social creature and he needs a lot of interaction with other horses in the pasture setting to be physically and mentally fit to perform at his best. Mental fitness is vitally important for the Equine athlete and sometimes, despite breeding, a horse does not have the behavior or mental aptitude to be a quality racehorse. The lack of mental fitness is huge barrier preventing a horse from living up to his full potential. So, as you can see, there are many reasons why a horse may not run his best race. The key for Thoroughbred owners to remember is that a horse with a high Classic Champion Thoroughbred Profile® score has the potential to be a first-rate, graded stakes winner or, perhaps, a classic champion. If the horse with a high Classic Champion Thoroughbred Profile® score is not running close to his score, then the issue[s] preventing him from reaching his full potential needs to be investigated. The time and patience in discovering why a horse is not racing his best and helping him reach his full potential can be well worth the wait for the horse owner, and horse. Calvin L. Carter, a life-long horse racing fan, created his Classic Champion Thoroughbreds blog in 2009 when he began writing and blogging about horses on the Kentucky Derby Trail. In addition to blogging, Calvin is an Ancestral Herd pedigree analyst and the owner of Classic Champion Thoroughbreds LLC, a bloodstock consulting firm dedicated to helping clients take the guesswork out of buying and breeding Thoroughbreds. Calvin also is the creator of the Tesio Index™, Ancestral Herd Index® and the Classic Champion Thoroughbred Profile® which is an analytical tool he uses to determine the classic potential of young horses. His study of pedigrees and the late Federico Tesio, a world-renowned owner, breeder and trainer of Thoroughbred racehorses has had a dramatic impact on how Calvin determines if a young colt has the potential to be a Classic Champion Thoroughbred. Calvin's knowledge of pedigrees and the Ancestral Herd has helped him pick, on his blog, the classic champions California Chrome, Orb, I'll Have Another, Animal Kingdom, Pour Moi, Super Saver, Lookin at Lucky and Summer Bird. 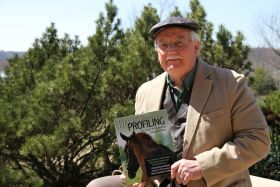 Calvin is the co-author of "Horse Profiling, The Secret to Motivating Equine Athletes," published by Trafalgar Square Books in the United States and J.A. Allen in the United Kingdom. In addition, Calvin has written several articles for The HorsePlayer Magazine and he's an accomplished poet, editor, printing and publishing consultant.